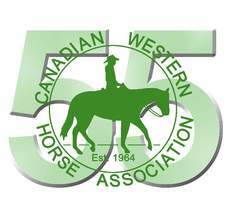 In the summer of 2014, CWHA celebrated the 50th continuous year of one of the best horse associations in Manitoba. CWHA has been a part of the lives of many horse lovers in Manitoba. It is a foundation club that was started in 1964 by some of the most committed horse women and men, many of whom are still going strong. CWHA continues in the same way, as it was originated, by horse loving people who tend the flame today and have each year since 1964. CWHA is an open club in every way. It is open to all horses, to all ages of people and to all riding abilities. CWHA has been the tie that binds the new horse lovers to old experienced ones. In CWHA a green horse can become a seasoned campaigner. It is a family club where friendships are made so that each show has the feeling of a reunion. The CWHA is a non-profit organization, that is dedicated to the horse and rider. Originally formed in 1964, our goal is to provide riders with the opportunity to ride in local shows, to learn and improve their riding and showing skills, and to have fun. We try to have shows in various locations in southern Manitoba. The club is open to all ages of riders. We have three age categories; Midget: 13 and under (as of January 1st); Junior: 14 to 18 (as of January 1st); and Senior: 19 and over (as of January 1st). The club promotes good horsemanship skills, proper show etiquette and good sportsmanship. Many of the more experienced members are more than willing to help out the less experienced riders at the shows. We try to sponsor clinics to allow members, both youth and adult, to learn new skills and build on their existing riding knowledge. The CWHA awards year-end high point prizes to honour riders' and horses' accomplishments during the show season. There are a variety of classes and age categories. The CWHA requires that you be a Manitoba Horse Council (MHC) member to participate at the CWHA shows. The CWHA uses the AQHA rules and regulations as a guideline and as of 2007 the NRHA rules and regulations as they relate to reining.